The flower team do the weekly altar flowers for our regular services and also special events as well as all wedding and funeral flowers. 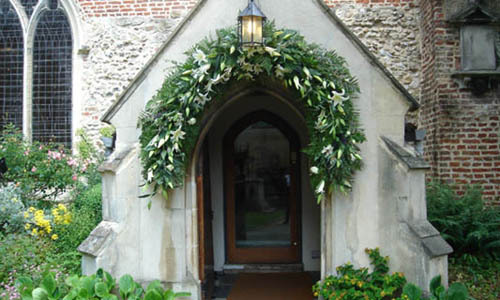 We have a rota of two or three people for the weekly flowers and special occasions are as needed. It’s a wonderful way to both enjoy and learn about flower arranging. You can see examples of the work the Flower Team does for weddings by clicking here.